We’d love your help. Let us know what’s wrong with this preview of A Brief History of Memphis by G. Wayne Dowdy. To ask other readers questions about A Brief History of Memphis, please sign up. This is a quick and easy read which covers many years without very much depth, but it's not meant to go deep. While Dowdy is hardly an impartial observer, his opinions are kept to a minimum. I was pleased to find this work, for it seems that books about the general history of Memphis are about as rare as mountains in West Tennessee. 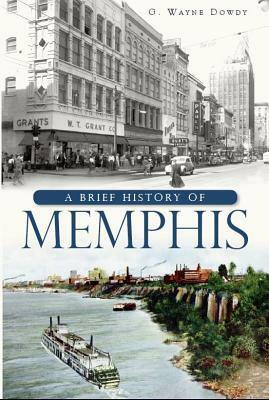 This is by no means the definitive history of Memphis, but rather a brief overview (as the title suggests) of the history which has shaped the Bluff City without offering too much personal commentary.